Birth of A Complex Global Civilization | My grandfather, Ben Garside, died in 1970 when I was 15 years old. Born in 1880, he had lived nearly his entire life in one house or another with no insulation, no furnace, no phone, no electricity or running water. He was a farmer-turned-market-gardener. He didn’t see an automobile until he was over 35 years of age, yet he lived long enough to see astronauts land on the moon. He taught me one important thing – that it is possible to live with very little, as our ancestors did for thousands of years, and find genuine happiness. How did things change so quickly in one lifetime? New Energy | Around the time my grandfather was born, there was a flurry of inventions based on the cheap new energies of fossil fuels and electricity. My grandfather’s uncle worked with Nicola Telsa on the first power generating station at Niagara. My wife’s great-great uncle Melville Bissell came up with the Bissell electric vacuum cleaner. The telephone was quickly invented and you could then talk to relatives in a distant city rather than travel by horse. Oil was discovered, pumped out of the ground and put to use in diesel engines in trains and ships. Cheap shipping made the world a much smaller place. Literacy | Aside from the abundant cheap energy there was something else even more catalytic to the perfect storm of 20th century progress. Just a couple of decades before Ben’s birth there was a popular movement to provide a general education for all children. In the back woods of St. Joseph Island in Lake Huron, Ben was going to get to read and write. I have a copy of the same primer from which he learned to read. He would be able to read newspapers and magazines and keep informed of events and trends across the country and around the world. But more than learning information, schools taught us how to make meanings by deliberately connecting events and processes into a myriad of repeating recognizable patterns. Modernity | In 1921, American sociologist named William Ogburn coined the term ‘cultural lag’. Cultural lag captured the idea that hard technologies, like ploughs, guns and automobiles, can be adopted at a much faster rate than the values, beliefs and behaviours associated with the use of those technologies. Today, for example, we have billions of smart phones in use and thousands of people will die (or kill) in traffic accidents when using them while driving. These lags don’t close before new ones are added. The lags are often cumulative. New Foundations | My graduate thesis advisor, Richard Jung, worked with Ludwig von Bertalanffy, the founder of general systems theory. Von Bertalanffy was one of a handful of scientific geniuses giving birth to the esoteric sciences of information theory, operations research, systems theory and cybernetics beginning a decade before I was born. These sciences would not only give rise to the computer, but to the artificial intelligence that promises to one day soon make humans irrelevant. They also form the foundation for the management science that makes global corporations possible. These same sciences help explain life itself so we can manipulate it in genetic engineering and even make new synthetic life forms. They may yet help us simplify our world and save ourselves, but for now, few people know anything at all about the long term cultural lags associated with the science and technology boom. Back to the Future | The year my grandfather died, American journalist Alvin Toffler published his book called ‘Future Shock’. In it he chronicled the rapid expansion of complexity in the modern world. Toffler stated that there was as much diversity and change in the current lifetime as there was in the previous 800 lifetimes put together. And he was right! Not only are there more things but there are more people, more ideas, travel, publications, and relationships. Knowledge was and is expanding exponentially in every direction! In 1920, just one long lifetime ago, atoms were just a theory and there was only a handful of known galaxies. We now know about sub-atomic particles smaller than quarks, that there are thousands of identifiable planets, and billions of galaxies filled with billions of solar systems. We may already be suffering from future shock and not even know it! Small Planet | Cheap transportation, electrical appliances, public education and mass communication brought us globalisation. Globalisation quickly brought us closer together than ever. There is a global brain drain going on as people with credentials move to specialized industrial ‘gravitational poles’ around the planet. People gather in giant metropolises — innovation hubs. Moreover, there is growing exposure to variety, diversity and complexity in everything from sciences and occupations, to races, religions, cultures, education, entertainment and political views. We really don’t know how long it takes for people to effectively acclimatize to these changes. We shouldn’t be surprised by popular upheavals. Zeitgeist | There is now a pervasive general background uncertainty and anxiety. Long term investment planning is evermore challenging. Alleged facts and logical arguments do not validate hopes. We don’t know which scientists to believe. Political pundits argue with different sets of facts. Meanings are apparently so complex and interdependent that anyone can spin them to get whatever results they want. Lies are easily disguised as someone’s truth. People search the workplace, lifestyles and other religions for a sense of meaning and purpose. We don’t get better at multitasking, we get better at being distracted. We feel busy, but in a moment of reflection we realise we’re spinning our wheels and going nowhere. There is little time to analyse and deliberate so people more frequently depend on quick intuitive assessments. Less time spent in deliberation means deliberation skills get weaker. Planetary Paradoxes | Though apparently history repeats itself, we also live in unprecedented times. The familiar rhythms of life are becoming chaotic and unrecognizable. Aside from climate change, the death of the oceans, extinction of many species, and over-population, what else is happening that we have not yet even identified? Scientists are calling our times the Anthropocene Period because of the dramatic impact our population is having on the planet. Never in 3.6 billion years of life on the planet has there been anything like what we humans are doing in this lifetime. 21st Century Design | Underlying all that is happening in our global mono-culture and its proliferating sub-cultures is the compounded exponential growth of complexity, accelerating change, and convergence of multiple cumulative cultural lags. Cultural ideas and their expression in technology, not genes, are the medium of civil evolution. They’re not slowed by the need for hundreds of generations. What systems science tells us is that this growth pattern, with mathematical certainty, will come to an end one way or another. This is not my grandfather’s world! Going Forward | With the web we have an unprecedented opportunity to engage in collective discussion. We had better put our little heads together now and figure out what we want to be when we grow up, and how we’re going to get there. How shall we define humanity in the 21st Century? The 21st century is overloaded with opportunities and challenges. The fundamental question of our time concerns the management of civil systems which are growing in complexity at a super-exponential rate. While we experience technology acceleration we are compounding the complexity of each other’s environments. Information overload, fragmentation of disciplinary thought, and distrust of institutions are symptoms of this scenario. Civil environments, including business organizations, are replacing natural environments as our primary context. The individual human brain, designed for a simple hunting and gathering existence, is becoming overwhelmed. This is supported by evidence from incidence of mental health and other social indicators. We need to re-organize how we think about civil systems, including business, non-profit and government organizations. Global Brains Co-operative consists of three components – an online community with a virtual business environment, a live forum think tank, and a research institute. It will advance the work of civil science, civil analytics and civil intelligence in relation to both public and private policy and practice. Together the co-op covers public engagement, research and development and a practical learning, planning and performance optimization environment. It covers subjects such as complex adaptive systems and human resilience. 1) An online management support service company offers a training, gaming and simulation environment. It targets small businesses, agencies and community organizations providing members an opportunity to learn and plan for their organizations using advanced tools and data they could not access independently. At the same time, members contribute data to the shared cloud-based simulation. It will be incorporated as a co-operative, owned by its members. This would also be scaled up for a wide range of real-time transactions. 2) A think tank club will provide members of the public with regular live and online forums for discussion of public issues and organizational development. They learn about complex civil systems, acquire skills in systems-thinking and try to solve real life problems. This would follow an organizational format similar to that of Toastmasters International TM. 3) A non-profit institute of civil science conducts research and development under a board of directors that includes representatives from community, government, academic and private sectors, including representatives from the following two affiliated organizations. Products and services developed are offered to co-op members. The three components are linked so that they contribute to each other’s success. At the core of each is a set of methods and technologies that promote development, health and performance of civil systems. Civil science uses the family of studies in cybernetics, systems theory and complexity to consolidate the work of management science and practice along with the social sciences (history, geography, sociology, anthropology, economics and political science). It builds on a platform of social psychology and biology. There are many indications that the complexity of our modern civil system is growing at a super-exponential rate. The Global Brains Co-operative is to apply the highest level of reason and values to create a better management approach for civil system at all levels of human organization. It will assemble and advance critical knowledge, methodologies and technologies into a highly meaningful and practical approach. These will be used to support decisions that shape civil phenomena from small group behaviour to organizations, networks, communities, nations and civilization as a whole. It is to provide frameworks for development of civil analytics, collective intelligence and human resilience. Real life is not disciplinary. The modern social sciences are founded on ideas that were formulated over 200 years ago using ‘knowledge of things the size of a breadbox’. Civil science distills the traditional social sciences and translates them into a highly integrated and condensed layer of systems science. It uses management and policy sciences as the applied science phase of a cycle of learning and doing. This approach to understanding and managing civil affairs promises to reduce the complexity currently manifest among the many disciplines and sub-disciplines of the social sciences. Civil science, based on systems science, is well suited to integrate into the spectrum of knowledge from quantum physics to astrophysics, with life sciences between. A new ‘periodical table’ of everything is taking shape in systems science, based on theories in information, communication, probability and fields. It’s all about organization. Systems sciences study organization from chaos to communication and control. Its concepts and principles underpin all modern information and communication technology. It is increasingly seen as fundamental to understanding all living organisms, their ecosystems and their evolution. Advances in computer and information methodologies and technologies are being applied to complex civil phenomena. Big data analytics, cloud-based simulation, gaming and various forms of artificial intelligence combine for a powerful set of tools in understanding and managing civil phenomena. Global Brains Co-operative recognizes that a number of significant trends are converging to create super-exponential growth in civil complexity. There are disruptive breakthroughs in areas such as space exploration, cognition, nanotechnology, computing, , energy, genomics and synthetic biology. At the same time, the global population is now estimated to be doubling in as few as 60 years – less than a human lifetime – billions of information producers. The demand for a rapidly rising quality of life drives economic growth on top of population growth. Cheap carbon energy has made cheap international trade possible, and when coupled with advances in management science and practice, and economies of massive scale, there is a growing concentration of wealth and influence in a few global corporations. 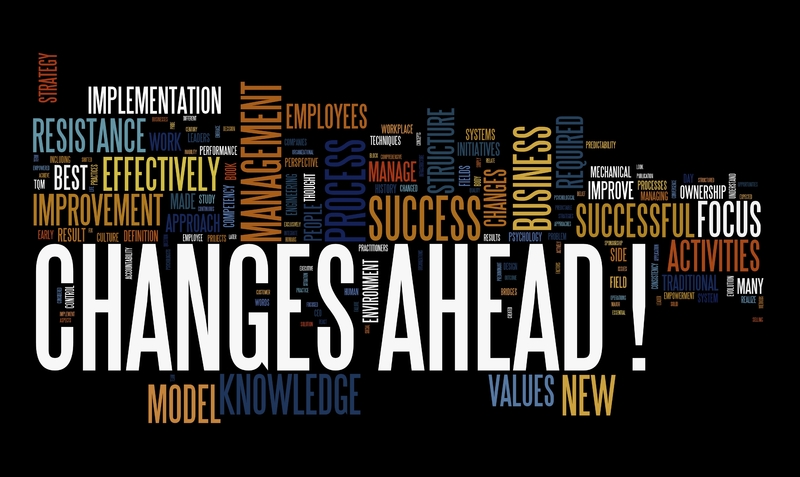 Significant changes are taking place in the modern world that force new ways of thinking and managing. The ‘open world’ is emerging, a world in which the traditional competitive landscape is not well suited. Traditional supply and demand economics depends upon scarcity and supply and price varies depending on demand. There is a cost associated with each additional unit produced. However, information and information processing are in abundant supply. The open source software movement is very large. Information in the form of software and digitized works can be infinitely copied without loss of the original work. There is no scarcity. In fact much of the commercial and open source software available today was created by people who have never made personal gains from their work. Many programmers, or hackers, have contributed to the common good voluntarily because they enjoy the creative and productive work and like to think they have contributed in some small way to making life better for everyone who uses their products. Now governments open their huge data sources free for commercial and public access. Companies like Red Hat have shown that competitive software can be produced in an open source working environment. The 3D printing industry is expected to follow a similar path once 3d printers are in wide spread use. Consumers will buy input materials in bulk like ink-jet printer heads, but they will be downloading blueprints from a myriad of inventors. These inventors stand to make a very small profit on a very large volume of sales. 21 century large corporations employ management science tools that are part of an economy of scale. Large economies of scale both lead to, and benefit from, application of computer-based support systems. Small businesses, not for profit organizations, and many municipal governments do not have access to these tools because of the high cost of installation and training. In small business, many of the core business functions such as accounting, marketing and even core manufacturing are outsourced. As technology replaces human labour at an increasing rate, we are often told that the remaining niche for humans is in our creativity. This is intellectual capital or intellectual property. The individual has a steep learning curve if he or she is to try to launch a new product on any market in competition with existing companies, many of whom are global corporations. There may be opportunities to market intellectual property if an entrepreneur is very well equipped. The percentage of people finding income from entrepreneurship is expected to continue increasing over the years to come. However, entrepreneurship is laden with uncertainties and risks. Even though the entrepreneur intends to make an income by producing a product or service, there are many other things to learn and master before success is likely. Managing marketing and sales, finances, human resources, and suppliers are not simple matters in any market. One way to simplify management of a business organization is to reframe it in the context and language of systems. Any organization can be seen as a system with inputs, value-added processes, and outputs. A profit plan is a value-added plan. The business organization can also be seen in the context of economic webs or systems made up of supply chains and industry value chains. Ultimately the economy is an extension of the natural ecosystem. The management support service co-operative is a management support environment or platform. It helps small business owners and managers to plan and develop their companies in a complex business environment. It provides online business leadership and management training curriculum and simulator. The simulation environment opens to allow members to interact with a live simulator that is loaded with real data from markets, finance, and industry. This enables members to learn and plan to take advantage of emerging opportunities and prepare for emerging challenges. The co-op will also facilitate business to business transactions, encouraging appropriate partnerships, joint ventures, and other collaborative arrangements as well as development of supply chains. Membership is open to small businesses, social enterprises and non-profit agencies. There may be different classes of membership, including a class for public sector organizations. Non-profit and public sector organizations are able to benefit by using the same online toolkit. The co-op follows the rules and principles of co-operative governance. It would be considered a consumer coop insofar as it provides support services for small businesses and non-profit agencies. A board of directors is elected from the general membership. Other means of mass participation in decision making are possible. Members can have considerable input into the services offered. The small business co-op will resemble a business incubator, however, it is intended to offer a long term engagement with a very large number of members. Local and regional residency is not a requirement. In fact a wide geographical base is preferred in order to encourage international trade. The co-op can continue to serve the business members as long as the entrepreneur feels his or her needs are being met at a reasonable cost. The co-op will be based in a cloud computing environment so access will be by internet. This means there will be a low overhead cost for members. The computing environment will include a full range of decision support tools, from general purpose forecasting to special purpose analytics. A mentoring and coaching forum will also be available for members. Membership in the co-op is open to non-profit organizations and municipal governments that can benefit from co-op services. These services can help agencies and municipalities better serve their publics in much the same way they help small businesses serve their markets. The tools and methods of management science have enabled large corporations to achieve huge economies of scale and to dominate global markets. Small businesses and organizations cannot use these enterprise software suites in the same way large organizations can. The software has to be appropriately scaled down in order to be accessible and viable. There are a number of ways of doing this. The Think Tank Club will provide a regular forum for face to face presentations, debate and dialogue on public policy issues. It is said that “understanding comes at the point of articulation”. When people are challenged to delivery and defend their positions they must think things through thoroughly. People frequently have great ideas until someone else points out the weaknesses of those ideas and they are forced to reconsider and develop their ideas further. The Club will also be a forum for continuous personal and professional development. It will assist in building members who are active citizens, dedicated stewards, diligent scholars and visionary leaders. It will help develop and propagate appropriate skills and progressive attitudes that will improve the probability of moving toward a better world. It will preserve what is essentially the best of humanity in a highly technocratic civilization. The Think Tank will be governed and managed through an elected board of directors. It will work in collaboration with the Public Policy Research and Development institute, providing a vehicle for public input. The Think Tank Club will operate sessions using parliamentary procedures and formal procedures to manage presentations, debate and dialogue. It will adopt and develop methods for managing conflict, pursuing scientific and philosophical inquiry as well as promoting collective intelligence and goal setting. The Think Tank Club can expand to include break-away sub-groups that are based on specific issues such as environment, energy, technology or globalization. These subgroups would be linked in two way communication with the main group to ensure a coherent development of policy. It may also be cloned in other communities to facilitate broad participation. The Club would draw from successful operations in Toastmasters International TM and Master Minds clubs. Identify common concepts and principles to produce a minimal basic set for learning. Once the basics are learned, with examples for different disciplines then specific applications can be learned with emphasis on differences. Edmonton is in an interesting geographic, economic, and demographic situation. It sits near one of the world’s largest deposits of hydrocarbons at a time when conventional oil is becoming difficult and costly to recover and demand is increasing. At the same time, current bitumen production technologies demand burning of natural gas which is frequently blamed for global climate change. Yet Edmonton does not have a well developed public policy community. Edmonton has some strong resources. It is home to a few important information technology institutes. There are many government, research, community and business organizations that can be used as resourceful partners in public policy. Edmonton also has a fairly modern pulse and international presence and wants to be known as a smart city. It is also well positioned to participate in global supply chains. The Institute of Civil Science and its affiliated think tank and business support co-op are largely based on collaboration. It is now seeking members, contributors, sponsors, partners, directors and financial supporters. A number of documents have been prepared for planning and managing the Institute for Civil Science. These are available upon request. Unprecedented times call for unprecedented leadership. Mankind has an unprecedented opportunity to create an exciting path forward through many challenging obstacles toward shared goals. Using the web and modern technologies in a concerted way, we can build a world in which most routine conflicts resolve themselves. It is not utopian. We will never build utopia, a world without challenges. We don’t want a world without effort because rewards are tied to overcoming challenges. When we achieve goals we create new ones. That is our nature. But we are on the verge of a new way of thinking about our world and our place in that world. The new way of thinking has been incubating in research and development institutes around the world and is now ready to emerge into the public space. You are invited to participate. The new way of thinking links all areas of scientific explorations and technology solutions. It is broadly based in progress made in knowledge management and the sciences of complex adaptive systems. It provides a new, more efficient way of thinking about civilization by reconfiguring the intellectual structures of traditional social sciences. Not only does this new way of thinking create new opportunities but it assists us in dealing with the many emerging complex problems facing mankind in the 21st century. Super-exponential growth of information and complexity cannot be paced by a brain designed to function in a hunting and gathering culture. Our brain physiology flat-lined maybe 100,000 years ago. Though we have recently been managing large volumes of information using bureaucracies as a form of artificial intelligence, there is a diseconomy of scale that we are rapidly approaching. Seven billion people linked by the web, political networks, food chains and manufacturing supply chains, creates a level of complexity that is virtually incalculable. We live in unprecedented times and the tipping point, or management threshold, is approaching. The vast system of social media tools and uses gives the individual a sense of power, but in the process creates an exponentially more complex civil environment in which to live. Information overload, stress and mental health are growing issues. Tension and conflict are inevitable. As we know, emotional states can be contagious. It may be a matter of time before there is public panic, hysteria and mob rule. Regional conflicts, for example, quickly spread to become global conflicts, triggering tribal instincts of ‘us against them’. Some public incident that would have been innocuous in an earlier period will be a catalyst. If we consider ideas and emotions as viruses, the laws of epidemiology suggest this dispersion pattern is a mathematical certainty. We need to reconfigure and reframe our technology and methods within broad and shared goals if we are to stabilize our complex civil system and retain control. Mother Nature plays no favourites. We are biological organisms and therefore subject to the same patterns we see in other animal populations. A growing population, information glut and depletion of scarce resources will lead to catastrophe and collapse. We are ‘resilient’ animals, but our pattern of ‘cultural lag’ means we may not be sufficiently ‘agile’ to respond in a timely manner. We need to create a different path forward. Solutions always follow inspiring goals. We must be goal oriented. May 29, 2014 Event for an introduction to the Global Brains Co-operative. Let’s go! How relevant is your plan? 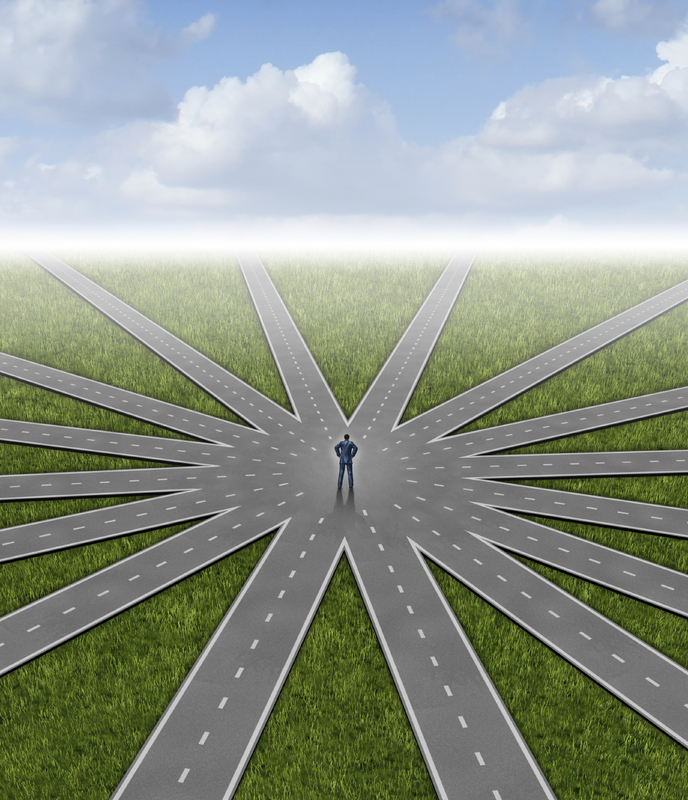 Do you have the quality information you really need to make solid decisions? Do you have the resilience to adapt to the changing business environment? Are you able to find and attract the best people and expertise available? How do you know if you are going to get the best return on your investment of time, effort and money? Global Brains Co-op represents the new platform for people around the world to integrate personal, organizational and artificial intelligence, and do it in a meaningful practical way. Come and see if this is a good fit for your future management needs. You can get in on the ground floor of a significant landmark opportunity now!